UN Secretary-General, Ban Ki-moon, inducts Kenyan Nobel Peace Prize laureate, Wangari Maathai, as UN Messenger of Peace. Photo credit: Mark Garten / United Nations. Although over past two decades great strides have been made to include women in international, political, and security affairs, recent statistics demonstrate a lot of work still needs to be done. In 2012, UN Women published a report “Women’s Participation in Peace Negotiations: Connections between Presence and Influence”, which demonstrates how little women have been engaged in the examined 31 peace processes from 1992 to 20011. It found that in all of these peace processes “only 4 per cent of signatories, 2.4 per cent of chief mediators, 3.7 per cent of witnesses and 9 per cent of negotiators” were women. In only five cases, the percentage of female negotiators was above 10 per cent. Even years after the adoption of Resolutions 1325 in 2000, women are still excluded from peace processes. Indeed, several recent peace processes from 2008 to 2011 (Central African Republic, Zimbabwe, Somalia, Iraq, and Yemen) did not include any women at all. Considering the prevalence of violence against women in these countries, the exclusion of women is a major failure. Their input would have been instrumental in helping to address the effects of the conflicts on women and in devising the most effective ways of including women in the subsequent peacebuilding efforts. Indeed, the lack of women representation in peace processes is a major issue since they map out the way peacebuilding will unfold in post-conflict era. Without an input from women, it is unlikely that women’s concerns will be addressed or their strengths will be properly drawn upon. This is unfortunate because women have much to contribute to the peace processes and subsequent peacebuilding efforts. In her journal article “A Country of their Own: Women and Peacebuilding”, Theodora-Ismene Gizelis states that “the social roles of women for nurturing interpersonal relationships make them effective peacebuilders”. An examination of women’s contributions to peacebuilding and peace processes shows that Gizelis is correct to make such a claim. Indeed, the Accord Insight documented many roles that women performed in peacebuilding in several countries such Cambodia, Sierra Leone, northern Uganda, Papua New Guinea–Bougainville, Northern Ireland, Angola, Sudan, Indonesia–Aceh, and Somalia. 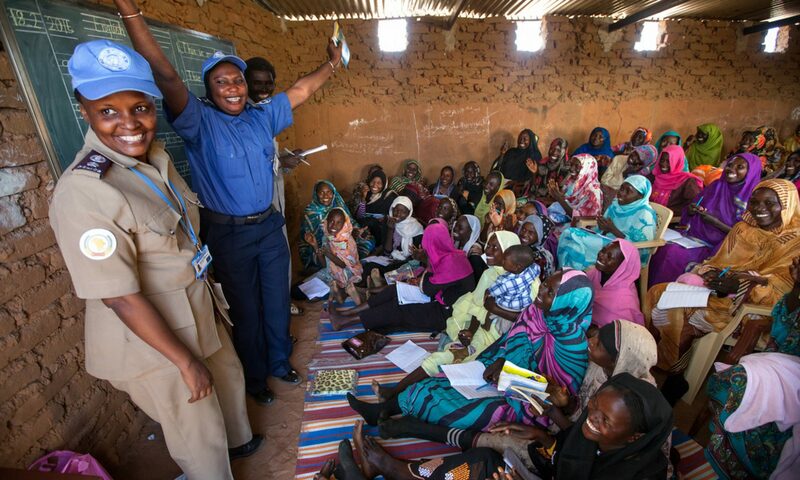 In these countries, women have greatly contributed to peacebuilding by: “promoting consensus and inclusion as a key strategy, advancing broader issues of social justice, and building peace beyond the negotiating table”. At the negotiating table, they broadened the agenda by including issues such as, equality, access to land, and reconciliation. These issues are not of importance to the armed parties that are typically present at the negotiation table, but the solution to them is vital for achieving long-lasting peace. For instance, women in northern Uganda helped to prepare communities for the reconciliation and integration of ex-combatants by using prayer meetings and peace education. Moreover, the Northern Ireland’s Women’s Coalition (NIWIC) ensured that issues of victims’ rights and reconciliation were included in the Belfast agreement. Furthermore, in Somaliland in 1993 and in 1996, women lobbied elders to intervene to end the conflicts and mobilized funds for the peace meetings. Therefore, women have an important part to play in peacebuilding, but the discussion about their potential contribution should being at peace negotiations with proper input from the women themselves.